In the same way that Sozo is an opportunity for someone to have a facilitated meeting with Father God, Holy Spirit and Jesus, Sozo for Couples offers couples the chance to share with the Godhead any thoughts, doubts, problems or dissent that may have entered the relationship between them. What happens in a Couple’s Sozo is that each of the couple witnesses their partner dealing with the attitudes and behaviours that have been causing the problem. In doing so they connect with each other, sharing the experience of hearing Father God, Holy Spirit and Jesus salve the wounds and addressing the lies in the life of the person sitting next to them, the person they have each committed their life to. This shared experience, shared with each other and with God, is the catalyst for a new understanding of each other. It is an understanding that, with love, unblocks and releases the perceptions, judgements, hurts and lies that will have built up and challenged their relationship. 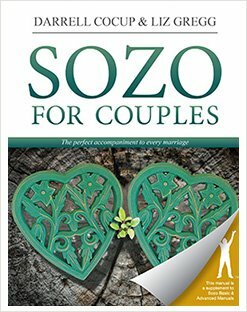 Sozo for Couples is a unique ministry that expands the Sozo toolkit to include an element of coaching. It is as quick, powerful and effective as Sozo. 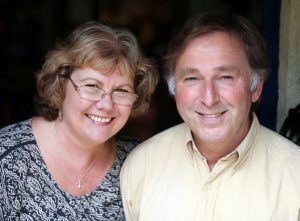 Darrell and Anthea Cocup lead the Sozo team at Bath City Church and have been Sozo Facilitators since 2009, they’re also International Bethel Sozo Organisation trainers. Their passion is to teach, train and mentor Sozo teams to use the Sozo tools to achieve the greatest level of freedom and intimacy with God possible. The idea for Sozo for Couples came at a time when Darrell and Anthea were receiving marriage ministry and, at the same time, learning Financial Sozo. Witnessing the extraordinary revelation and healing that a couple received during their Financial Sozo sowed the seeds of what is now Sozo for Couples. Liz Gregg’s many years’ experience in marriage counselling made her an obvious and invaluable addition to the Sozo for Couples team.